Your device’s call history allows you to keep a tab on all your incoming, outgoing and missed calls. It is saved on your device and can be accessed anytime to check the important calls. 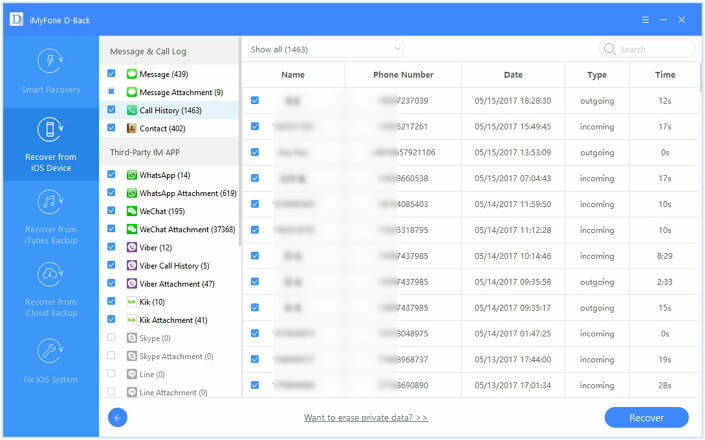 While many people deliberately delete the call logs of their device, many experience accidental deletion. This might become a headache for many of the iPhone users because you wanted to save an important phone number to your contacts but accidentally or manually you deleted the call history. When you don't have a backup, you may have a doubt whether you can recover call history from iPhone without backup or is it possible to bring the call history back. Can I Recover Call History from iPhone with No Backups? When you have an iTunes or iCloud backup, you can easily restore the call history. But what if there is no backup available? Can you recover the call history? Yes, it is possible. When the items are deleted from your phone, they actually do not get totally erased from the database until you overwrite them with new files. So, you can recover the call history using a reliable software. When you realize that there is no backup available for recovering the call history, you should immediately stop using the iPhone so that the data is not overwritten. Then you can choose an advanced recovery program called iMyFone D-Back, which is the best option for recovering the call history. It makes it possible to recover call history from iPhone without backup. It allows you to recover call history selectively what you need. It is very easy and efficient to use. 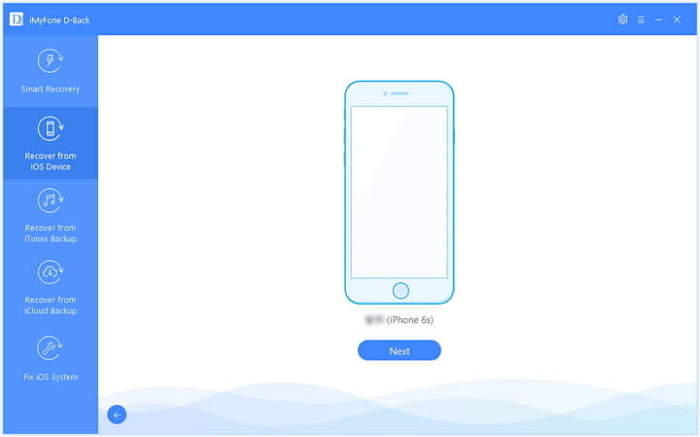 It is compatible with almost all the iOS devices running any iOS versions. Step 1.Open D-Back and select “Recover from iOS Device” on the left and click on “Start”. Step 2.Connect your device with the USB cable. The program will automatically detect it. Click “Next”. Step 3.Select “Call History” under “Message & Call Log” and click “Scan”. Step 4.Once the scan is over, the call history will be displayed on the screen. Select what you need and click “Recover”. The call history will be recovered successfully on your computer. 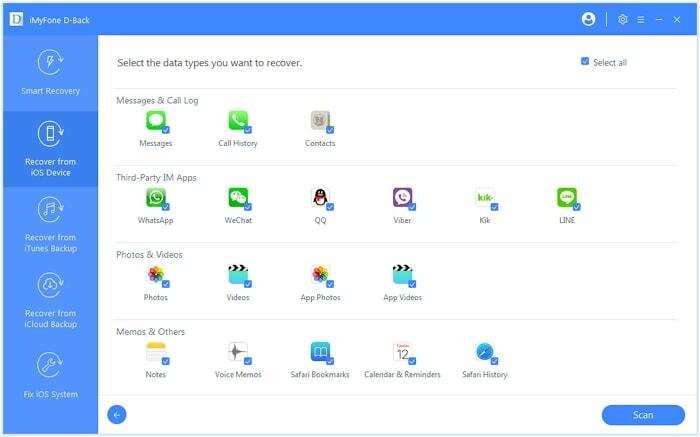 It is easy to recover call history from iPhone without bakcup, but there are still some tip about iPhone call history recovery you should know and do in advance. Here are two useful tips for you below. 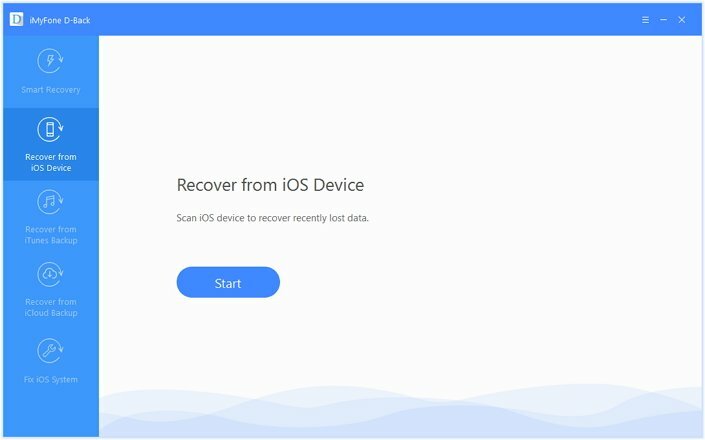 Although it is simple to use an advanced data recovery tool to recover the lost call history of iPhone, it is important to make a regular backup to prevent data loss. You will not know how important your iPhone is until it is gone. Anything can happen to your device. It can be stolen, lost, damaged or the data could get deleted. 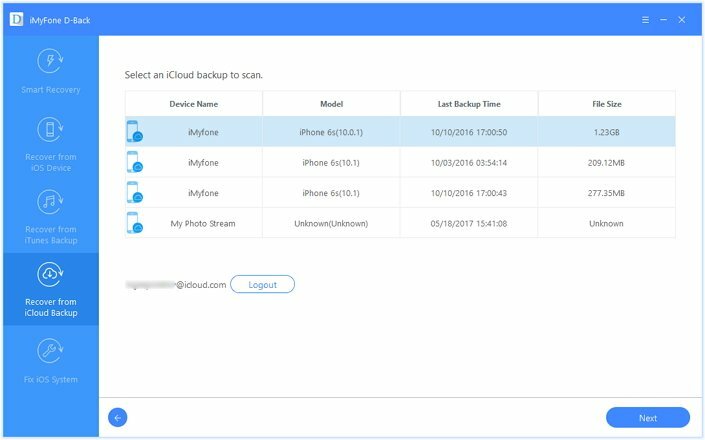 Once the data is lost, you can use traditional iTunes, iCloud backup or the data recovery tool iMyFone D-Back to make a backup securely and efficiently. From time to time, you may want to check whether the call history is stored in iTunes or iCloud backups, so when the call history is lost, you don't have to feel miserable about it. However, you can only know about the date and time of the backup. You are not allowed to view all the contents in iTunes or iCloud backup. Luckily, now it is possible to check the call history using iMyFone D-Back within backups. 1. Open the iMyFone D-Back. Select “Recover from iTunes Backup” and click “Start”. 2. Choose the most relevant iTunes backup, which has your call history you need and click “Scan”. 3. Various file types will be displayed. Select “Call History” under Messages & Call Log and click “Next”. 4. 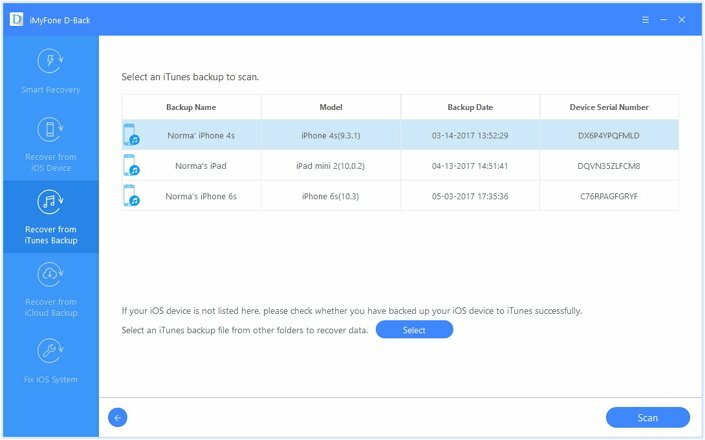 When the scan gets completed, call history within your iTunes backup will be displayed. 1. Open the D-Back data recovery program. Select “Recover from iCloud Backup” and click “Start”. 2. Sign into your iCloud account with ID and password. All backups will be displayed. Choose the most relevant one and click “Next”. 3. Select “Call History” under Messages & Call Log and click “Scan”. 4. Once the scanning is over, the call history will be displayed on the screen. D-Back is an advanced tool to check and recover the call history of your device without backup selectively. Of course, you can analyse all the above methods of recovering call history carefully and then select the appropriate way to check and recover. Don't hesitate to leave comments below to let us know which method you have tried for recovery.